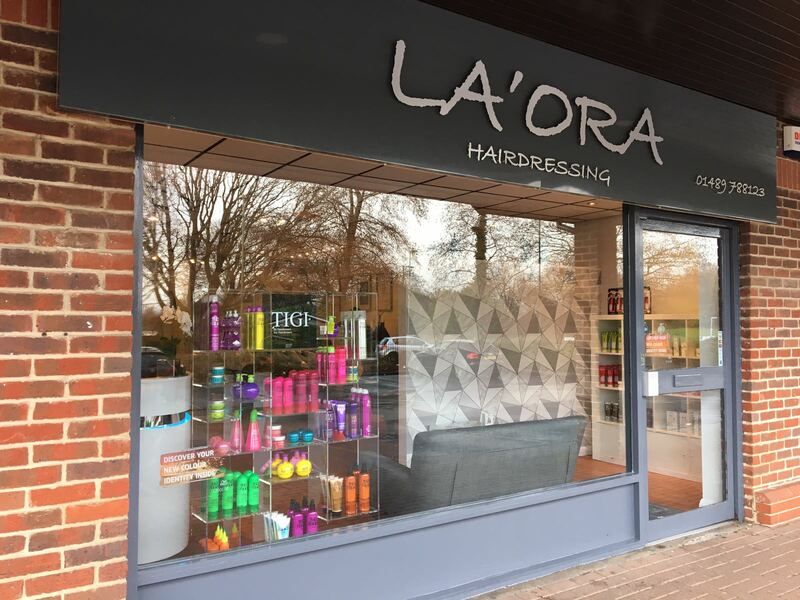 La’Ora hairdressing started its journey in November 2017. We are a family run salon in Hedge End that was established in 1999 under the name of Mane Event and is now owned by Laura and Dan Thomas. At La’ora we live for our family and pride ourselves in giving you a warm welcome where you can relax and chat in our friendly salon. We under go regular training by Wella to keep up-to-date on the latest trends ensuring we achieve hair style dreams in creative and contemporary designs. If your the sort of person who likes to have complete control over your hair’s creativity then look no further, you have found the salon for you. So, make your hair dreams a reality at La’Ora hairdressing. I will insure some extra time is booked out next week so I can go over the cut and insure enough weight has been taken out. Claire was lovely and I’m so impressed with results. She was chatty and friendly but also let me chill which is important to me because I use getting my hair done as my down time. Loved the results...will 100% see Claire again! Not been to a salon for a while, Sophie was lovely, she listened, told me what she was doing every step asked if everything was ok with cut. Great haircut and great conversation as always. Couldn't ask for more. I have a fantastic hair dresser in Katie. She listens to me & always gives me great advice of which I always take on board & put into practice. She's fantastic at her job and a huge asset to this lovely salon. I spend alot of money on my hair each month and I would not want to spend it anywhere else. Booked an appointment late last night and they were very good to fit me in at the time I needed great service and hair cut from happy friendly staff will recommend to all my family and friends will book again. Just a fringe cut today but treated as if I was there for the full 'do. Never had a hairdressers I've felt as confident with. Jayne was amazing. Very knowledgable, friendly and helpful. She talked me through what was best to help me with achieving my desired result and I am very pleased with the outcome. Fabulous service today but then it always is! All stafff are friendly and welcoming. I’m always unsure of what to do with my hair but Jayne’s knowledge and experience always helps guide me to make a decision! I trust her completely to make sure I leave happy! Very good girl very gentile working with my hair and she done a very good work , the result was wow.Thank you. Thank you for taking the time to leave us your review. We look forward to seeing you at your next appointment at La’Ora Hairdressing. I love my yearly visit to the salon for a balayage. Kate is fabulous and I always leave feeling happy and rejuvenated. Kate is such a great stylus and an amazing person. I love our chats and the whole experience. Such a fabulous salon, I would never go anywhere else.